After a few days in Yorkshire, I was back down south. After getting a taste for a few winter hills, I was looking for something to aim for down south. 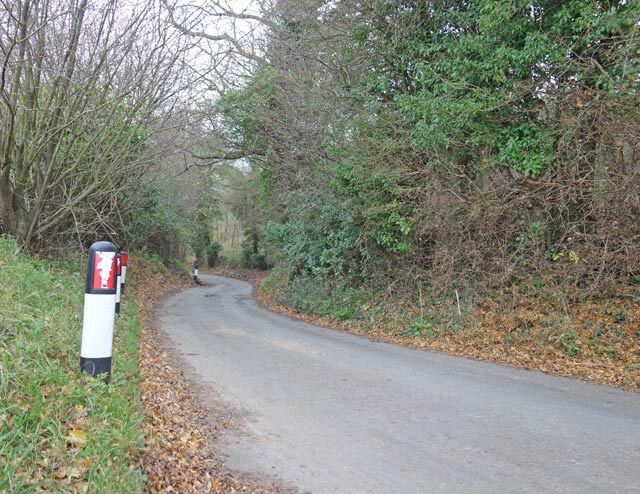 Bushcombe Lane looked suitably menacing on the OS map, plenty of double arrows. Checking up Another 100 Climbs, (no. 105) and I saw it gets a rare 10/10 rating. Lots of 20 and 25%. gradients. Quite often I like to amble around the Cotswolds with no particular target, just taking whichever road appeals. But, this was a ride with a clear target – get to Woodmancote and then climb Bushcombe Lane. It’s quite a trek from Oxford – perhaps 50 miles taking the back lanes of the Cotswolds. The 50 miles out west were quite pleasant. The roads weren’t quite as isolated as Yorkshire, but they were quiet enough. Another balmy December day – 10 degrees and the odd bit of sun, made it quite an enjoyable ride. Despite trying to get there by the shortest route, I took a few wrong turns and added another 7 miles on to the outward journey. I was starting to worry I might not have enough daylight, but I was quite committed to checking out the climb. First from Winchcombe, I had to climb Cleeve hill. 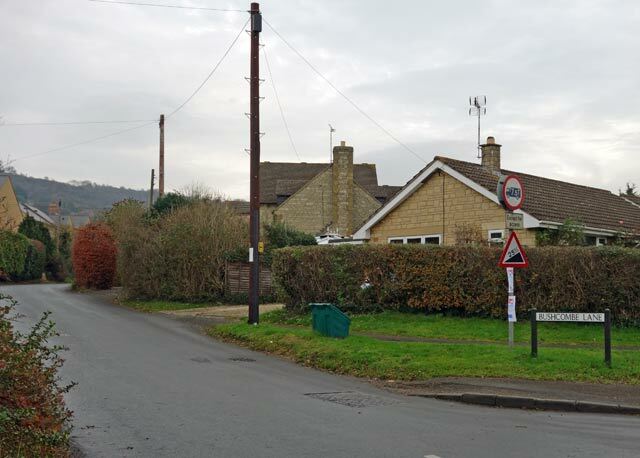 Cleeve hill is a substantial climb itself; though from Winchcombe it is more of a long drag – nothing too steep. Cleeve hill from Cheltenham is much more of a hard test. I enjoyed doing that last winter. 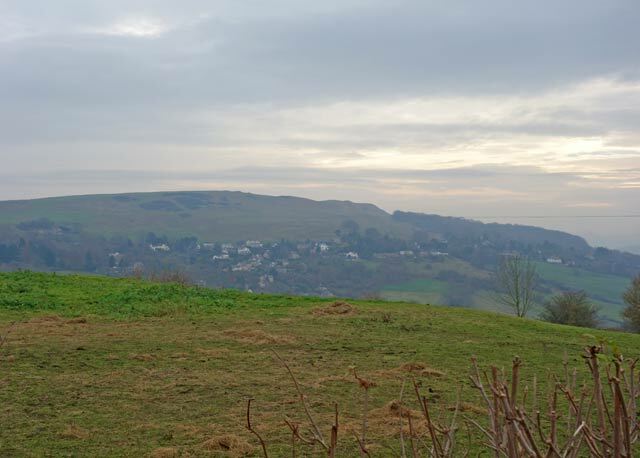 The top of Cleeve hill affords a great view; it was a little on the murky side but still worth the climb. I then took the descent down Bushcombe Lane to see what I would be climbing. I kept stopping to take photos – I wouldn’t be stopping on way up – and you can’t help but notice – this is really steep! In Woodmancote, I did a u-turn and with a certain degree of trepidation began the climb. It starts off innocuously enough, but seems to get steeper and steeper as you go. The middle section is really testing. After a prolonged 20% section, it got even steeper and the gradient hits 25%. 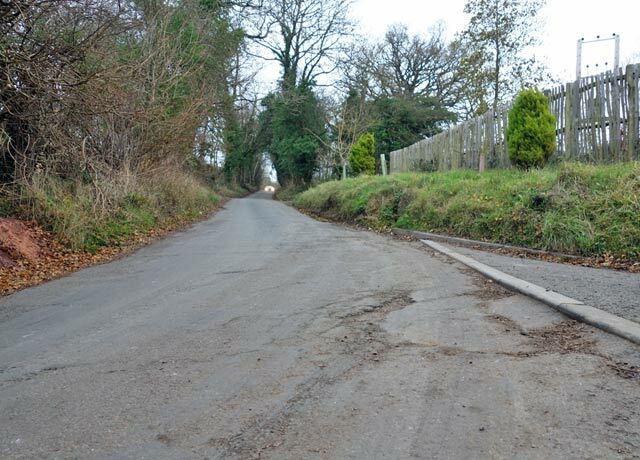 As you can see the road surface was wet and muddy. I was wheel spinning quite vigorously which made it even more difficult. I think I put 95psi in rear tyre which was a mistake. Recently, I made a wish that I had a compact chainset. Today, a compact was really a necessity rather than just a nice desire. I was really struggling in my bottom gear of 39*25. My cadence and speed was so low, I could almost have done a track stand. (My speed got down to 2.9mph) – which is a cadence of about 23rpm. The hill climb pride, wouldn’t let me stop, so I kept pulling up the 25% slope. Though if the gradient and continued for much longer, I would have had to get off and walk! It was really hard work and a tremendous grovel to make it to the top. I was aching in parts of the body, I hadn’t felt since mid hill climb season. I was relieved the last section of the climb was a bit more manageable. After a nice descent of Cleeve hill, I took a right and went up Belas Knap towards Charlton Abbot. It is a substantial climb in its own right, especially when still recovering from a real leg breaker. By the top of Belas Knap I had 60 miles on the clock and had to concentrate on getting home whilst still light. I kind of got lost, leading to a short section on the A40. That was not pleasant – such a contrast to the quiet lanes; it was a relief to get off the A40. In the end 104 miles at an average of 16.2mph – and a cautionary tale in not taking any hill for granted. I haven’t been that close to getting off and walking since climbing Wrynose pass into a head wind. Previously I had assumed if you wanted a real leg breaker, you had to head to the Lake District of Yorkshire, but Bushcombe Lane is up there with Wrynose and Park Rash. I won’t be doing it on a winter hack with lowest gear of 39*25 in a rush.